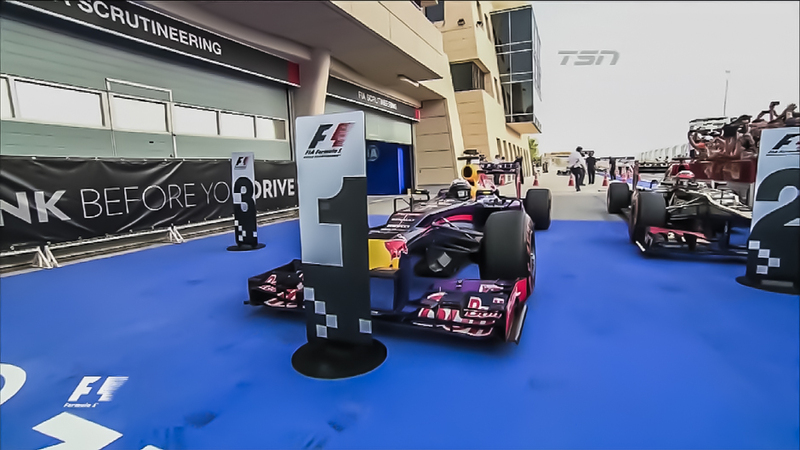 The 2013 Bahrain Grand Prix is the 2nd back to back race of the year. 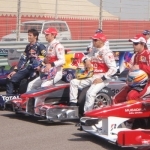 An interesting race, which was cancelled due to anti-government protests in 2011, the race has been won 3 times by Fernando Alonso, once by Sebatian Vettel, and once by Jenson Button. The track temps are always hot, being in the desert, and there is no chance for rain, and a very low chance for a safety car. Being in the desert, the track is dusty, and conditions improve significantly as the race progresses. Vettel qualified second behind Rosberg and is held back by the Mercedes of Rosberg, but is able to get past for the lead on lap 3 and builds a gap to the 2nd place Mercedes. Follows the rest of the 3 stoppers into the pits, and works his way back up to the lead by passing Raikkonen on lap 15. Continues to gap the rest of the field, and is able to make his 2nd pitstop while retaining the lead. Holds his ground throughout the pit windows and easily takes the win. Kimi Raikkonen struggled in qualifying, and ended up 9th on the grid, but a good start puts him into 7th position. Aiming for a 2 stop strategy, briefly leads the race on lap 14. Makes a 2 stop strategy work for a solid 2nd place in the Lotus. 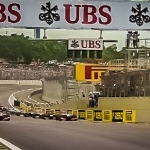 Lewis Hamilton qualified a solid 4th, but due to a gearbox change in practice penalized 5 grid positions down to 9th. Debris caused the tire to delaminate, damaging the suspension and gearbox. 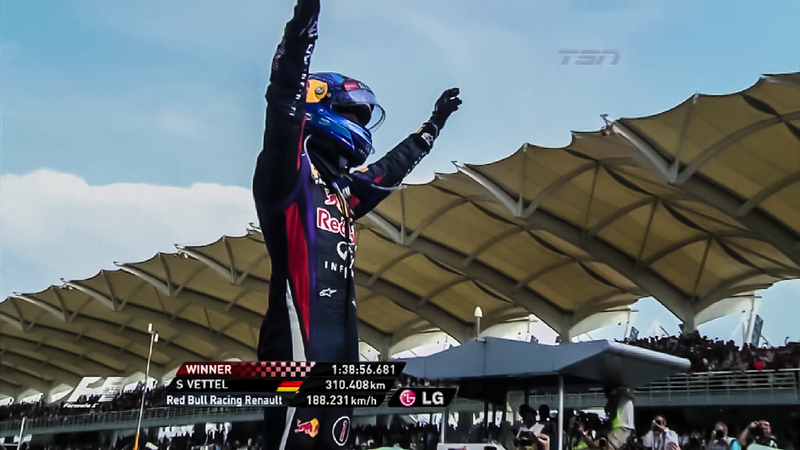 Hoping his luck is better in the race today, but a poor start puts him down to 11th behind the 2 McLarens. Makes his 3rd set of tires work, and starts lapping as fast as Vettel in the lead, and works his way to 3rd place with a pitstop to go. Once he gets his last pitstop out of the way, he charges through the field on his way to 6th place. 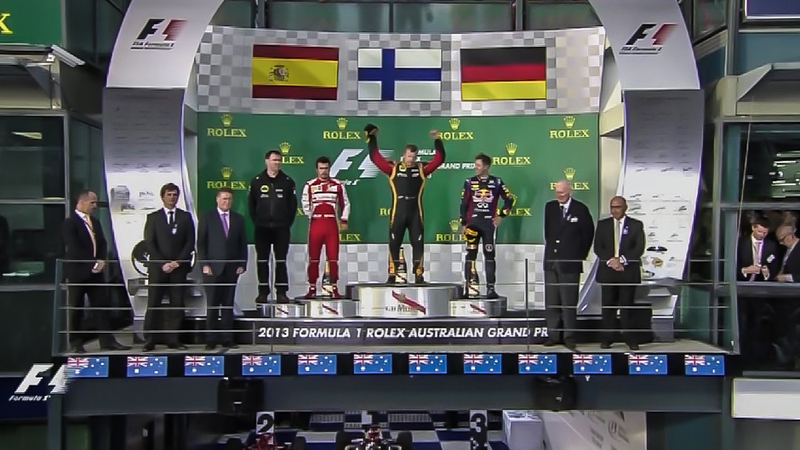 Passes Webber on the last lap to take 5th place from the Red Bull driver. Fernando Alonso starts third on the grid, expecting to have the fastest car in the race. A rocket of a start puts him in 2nd place off the start, but a mistake drops him back to 3rd by the end of the lap. Passes Rosberg for 2nd place on lap 5 using DRS and begins to chase down Vettel in the lead. Forced to pit on lap 7 due to a DRS failure on the rear wing. Uses DRS again on the out lap and it fails again, forcing him to pit once more. Drives a controlled race to put himself up to 8th place at the finish. Nico Rosberg qualified on pole for the race, the first back to back pole for Mercedes since 1955. The Mercedes is expected to be fast on one lap, but fall back in performance in the race. By lap 6, he drops down to 4th position when he gets passed by the Force India of Di Resta. He pits early on lap 10 for the fresh tires, and works his way back into 3rd place by lap 19. The tires just doesn’t work for him, as a 4th pitstop drops him down to 10th place with 11 laps to go. Closes out the race in 9th place. Jenson Button qualified a solid 10th, but a good start along with strong race pace sees Button work his way up to 7th place by the end of the first round of pitstops. The McLaren’s race pace is pretty decent, and makes his way up to 3rd place on lap 21. Fights with his teammate on lap 30 and makes contact, damaging Perez’s front wing. Button was forced to run Perez off the track on lap 32 to defend his position, reminiscent of the Red Bull teammate track fights. Struggles with his last set of tires and gets passed by both Perez and Alonso, finishing his day in 10th. 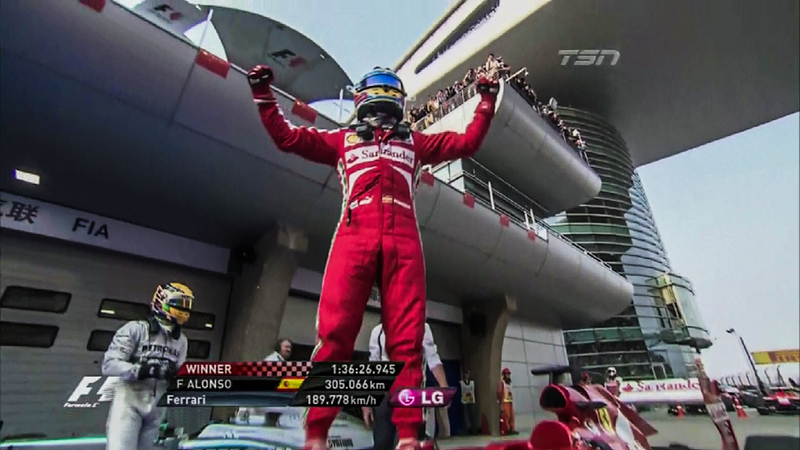 Felipe Massa started fourth behind his teammate, damaged his wing at the start of the race, and drops down to 5th. Even with a broken wing, he passes Rosberg for 3rd place on lap 9. Falls back after the first round of pit stops down to 6th. His luck gets worse, as tire problems on lap 17th forces an early pitstop, losing 9 positions on the track. The race doesn’t get any better, as a second tire problem forces another pit stop and puts him out of the points in 12th, eventually finishing in 15th position.